Any owner of a large collection of tools needs to protect them from the dangers of corrosion. If you are looking for a quality product to shield your tools from rust, the Zerust Tool Box Drawer Liner will do the job. Zerust can handle most rust-related issues; its anti-corrosion technology can protect your tools and tackle with ease. This rust-resistant technology can also protect a myriad of metal items other than tools. Zerust works well with automotive parts, firearms, and even jewelry. Regardless of the challenge, the Zerust tool box drawer liner can keep your tools in a pristine state. For Zerust products, safety is of the utmost importance. The vapor produced by Zerust is entirely non-toxic, invisible, and odorless. Furthermore, it does not leave any residue on anything in your storage space. Zerust will not damage any of your metal possessions. These products are consistently successful in protecting metal items from rust and corrosion. Additionally, Zerust is also environmentally friendly. The FDA has authorized Zerust for use with kitchen utensils. Zerust can also save its customers money over time. Not only are the products affordable, but they also have extensive longevity. The tool box drawer liner and other products all contain durable materials to drastically extend the lifespan. The average time these products work at maximum strength is give years. Furthermore, many of the products are reusable during their lifetime. With their modest price and simple instructions, both homeowners and industry experts can make great use of Zerust products. The process of Zerust products is fairly simple. The tool box liner and other products produce an odorless, invisible vapor that coats your metal possessions in a corrosion-resistant shield. Rust-resistant molecules then cling to the surface of your metal items. This eventually forms a layer of protection that is only a few molecules thick. Once set, Zerust will eliminate all reactions that cause the damages of rust and corrosion. In addition, electrical and mechanical properties of your belongings are not influenced by Zerust. All functionality of tools remains as is while protection continuously improves. 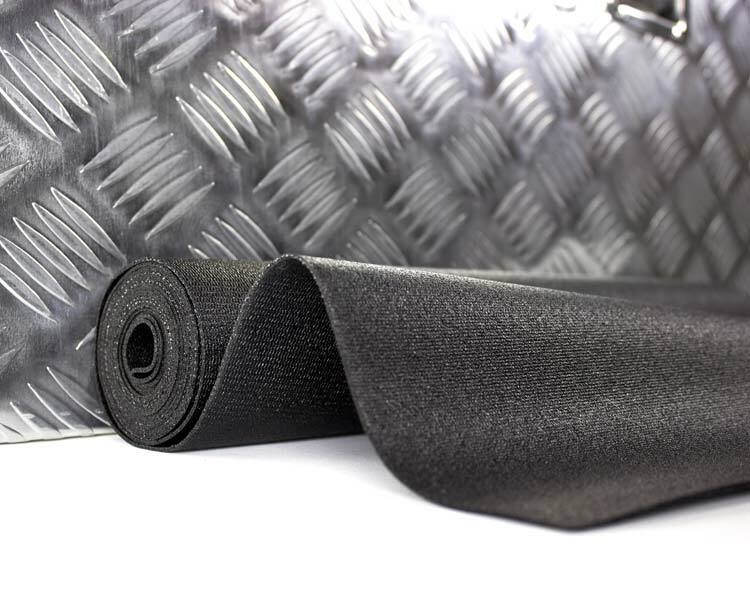 The tool box drawer liner is one of many Zerust products that produces the odorless, protective vapor technology. Both PVC rubber and Zerust work in tandem to protect tools and other metal items from corrosion. These tool box drawer liners also work great on shelves, storage boxes, and a multitude of other locations. You can also cut the liner to any necessary size, fitting any space you need to protect. Furthermore, Zerust products are easy to clean and are fire retardant. Zerust’s anti-corrosion products are the perfect answer for anyone struggling with rust and corrosion. Your tools, tackle, automotive parts, or any other metal belonging can stay in mint condition with Zerust. It will eliminate any rust-related reactions and let you rest easy. Consider Zerust for any of your rust protection needs.